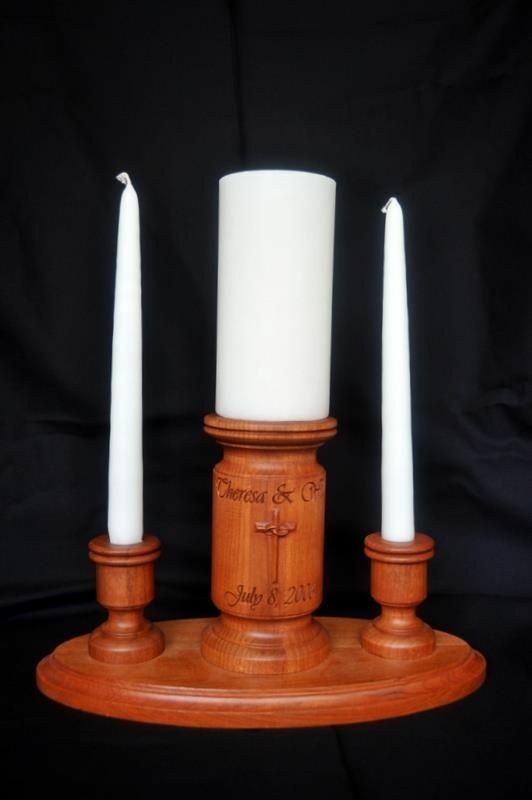 This unity candle set will continue to provide pleasure in the years after your wedding! This version is made of cherry, but we can make it in the wood of your choice. It is perfect as a decorative memento for your home. The text and carving can all be customized. Would you rather have doves, wedding bells, hearts, rings or something else? We can do that.